There are signals to indicate when a septic tank needs cleaning. A house with people living in it acquires a life of its own. Consequently it keeps giving us warning signs and symptoms which, if followed, help to make life easier with regards to the maintenance of the different features of the house. Thus a roof in need of repair starts to leak while door hinges, in need of oiling, squeak etc. Spread of germs and other disease causing pathogens as a result of the overflow of the septic tank etc. The need to pump the septic tank also stems from the fact that unless cleaned the solid wastes accumulated within it can put the whole septic system into jeopardy. 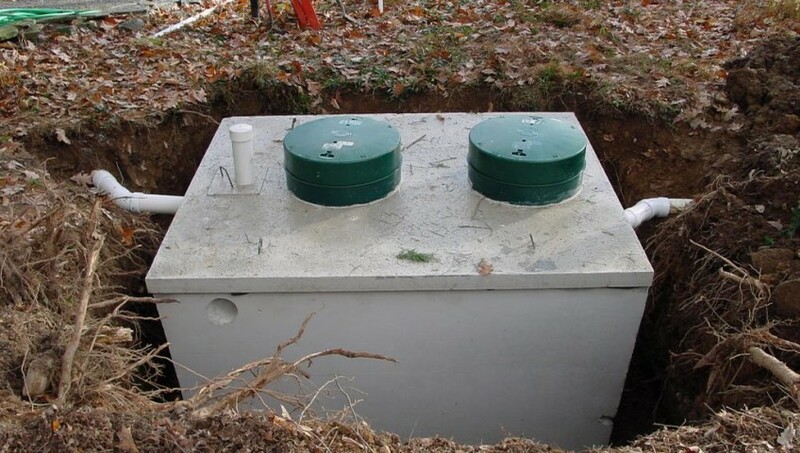 This stress on the septic system can also shorten the longevity of the tank thereby needing replacement of the system and resulting in additional hassles both financially or otherwise. The bacteria present within the septic tank which is responsible for the breakdown of the solid wastes, by virtue of the work that they do, tend to add to the woes by masking problems resulting from a filled septic tank. This also leads to unnecessary delays and ultimately in unwanted hassles. It is time: This is the simplest and most effective sign for getting the septic tank pumped. When regular pumping dates are scheduled and maintained, the longevity of the septic tank system increases and it also gives less problems during its lifetime. Alternately cleaning the septic tank also enables savings in terms of money, time and stress. Ideally the number of people using the septic tank is the deciding factor which determines whether the tank will be killed once in a year, two years or three years. Septic tank cleaning should not be postpones for more than 3 three years for the best results. Flushing or draining is sluggish: Even though it is a pretty innocuous sign, it is one which can help save the life of the septic system. Thus if toilets, bathing tubs, showers or even washing machines etc., tend to take time in flushing out the water, it is a clear indication that the septic system needs cleaning. In fact this is that sign which gives ample time for the house-owners to take the steps needed to ensure everything is back to working effectively and efficiently. Odour: The foul smell emitting from the septic tank is a consequence as well as a warning. It is not only the outdoors which starts smelling foul, it is also the toilets, drains etc., which start emitting foul smells due to the formation and accumulation of bad smelling gasses. Thus whenever there is a foul smell emitting anywhere within and around the house, septic tank cleaning experts like https://diamondseptic.com/faq/ need to be immediately called. Lush grass over drain fields: In instances wherein the septic tank is not cleaned and pumped, the excess waste liquid tends to spill over the drain fields. This results in the lushness of the grass covering this area due to the extra fertiliser that they get. Thus this is a clear indication that the septic tank needs to be cleaned. Standing water: Pooling of water in various places within the boundary of the homeowner’s property is another sign that the septic tank is filled up and overflowing. Thus it needs to be immediately cleaned and also be inspected for possible cracks in the drains leading to or coming out as well as the main septic tank. Well water nitrate content: In instances when the septic tank is full of solid and liquid wastes, people using well water, will notice a perceptible change in its taste. This is due to the increase in the nitrate content in well water resulting from the percolation or leaching of dirty sewage water into the well. Thus it is also important to get the well water tested once every year. Sewage backup: This is the worst nightmare for all the members living in a household. Raw sewage can get backed up into the house through the toilet, bathing tubs, drains etc. thereby rendering them useless and unhygienic till such time as the sewage accumulation tank does not get cleaned properly. Thus it is very clear that there can never be any substitute to regular cleaning and pumping of the septic tank when in use. Also because the septic tank is installed under the ground and out of sight, it does not mean that they can be neglected and cleaning put off indefinitely.